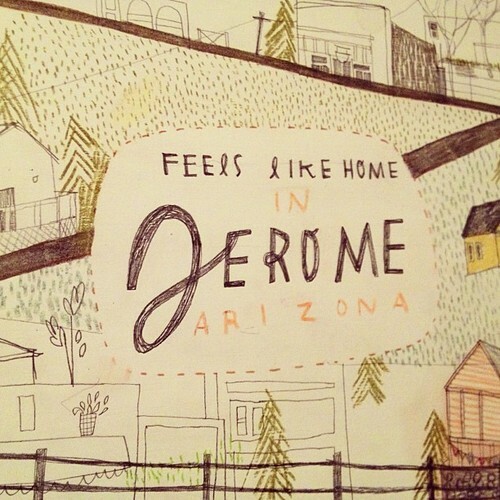 Jerome is one of the cutest cities I have been to. Nestled and stacked on the side of a mountain in Northern Arizona, it makes me feel that timeless real life magic that I like to pretend surrounds us everyday (if you block out fast food, walmart, and cash for gold stores..sick sprawl). Anyway, Here's a little sketch I did of the city. If you are reading this, you have found my new website. I put on my travel boots and braved through Zone Files and DNS (what?!) Sections of the land of the unknown. I have no idea what any of it is, but alas - here we are together. I hope you like it, that it's easier to navigate, cleaner and more organized. If you have any crits or problems that I am not seeing, please let me know - as I don't dare pretend to be a web developer. I paint. And drink lots of coffee, that's what I do. Here is the painting I finished this past week, finally got it scanned! This week I also finished the illustration for the fall issue of CraftSanity, along with the embroidery pattern. Ill share that with you soon. Today I am reading a book on the artwork of Beatrix Potter, which is completely adorable. It makes me wish I lived in more romantic times - but people have always been saying that I'm sure. I choose to make my own romance. Happy Day of the Sun from the Valley of the Sun. 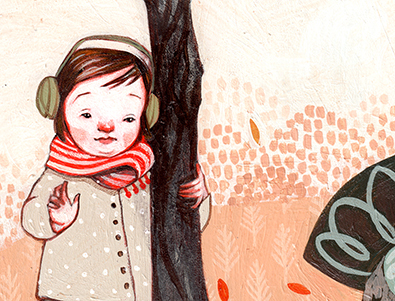 New illustration for the Fall Issue of CraftSanity Magazine! Here are some progress shots. 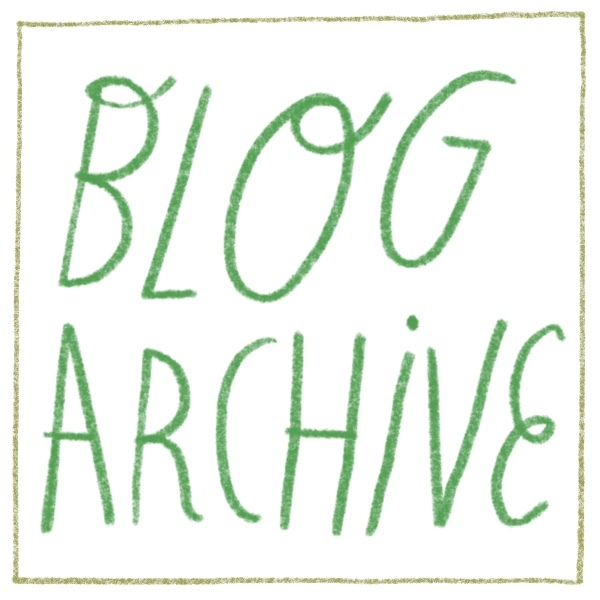 Yesterday I was happy to find that Illustration Friday featured my work on the Illustration Friday Blog! If you're not familiar with the site, check it out. They do weekly prompts for illustrators and feature great and inspiring work everyday. Yay! The topic this week is 'Book' so I am going to try my hand at it. Also this week, I am working on a commission for the sweetest family. I plan on having it finished the beginning of this week, and after I have a finished scan (and after they see it) I will show it to you! I'm no good at secrets. I finished my GIRLS painting for the Light Grey Art Lab show coming up in November. The piece doesn't actually have to be done til this Friday - I can't believe I got something done this early. I was just so geeked to do it. This is a little detail of it but I'll show you the finished version soon! And on to this week's commission. Today I am finishing my piece for the upcoming GIRLS show at Light Grey Art Lab in Minneapolis. The show runs from November to Jan. Prints will be available for purchase through the gallery once the show opens.. I also JUST got boards delivered so I am starting three commissions today and next week. People and homes and animals and percolators. My favorite subjects! Third Print in the Series Finished! Here's a little detail! Ill show you the finished one soon. There needs to be some element of surprise. I'm sure you're losing sleep over it but contain yourself. But ALSO! I am an official Phoenix artist! Woop woop! The New Times is doing a '100 Creatives' countdown to the 'Best of Phoenix' and I was asked to be one of those 100. Pretty cool huh. And thank you to Terry Johnston - who is a mad photograph maker who took my picture. AHHHHH I can't keep these a secret! These will be 12x16" archival prints. Price is yet to be determined but I will have more information for you soon! I have to get working on the second print, as it's just about finished. There will be three in the series. Special thanks to my cat Junie for being such a hot model. So. I have had some inquiries about prints since...I started making art full time, and maybe before. It's been a long time coming. I usually sell orginals but the thought of selling a nice reproduction has always sounded incredible. So this week, with all of my commercial projects finished for the time being, I decided to start that print series that I have been thinking about. I have the first one just about done and am sending it in for proofs soon. Keep an eye out for the finished series soon! I will have them for sale via Etsy, and through my website. I'll also be doing an email blast - is that what people call it? - Anyway, let me know if you want to be on my email list and you will be notified when these babies are off the press. And I will say HOT OFF THE PRESS. So look out. Alright. Here is a little detail that I came across when I was zoomed in that I thought was nice. the actual size is like, an inch, but you can see the paint strokes really well. I am in a good mood today, so who knows...maybe I will share with you the whole thing in a bit!